What is the Shebang Process? 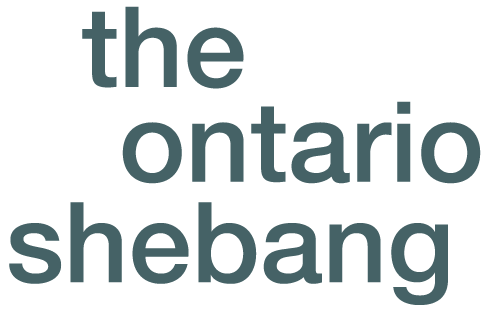 As an observer and translator of the Shebang Process, I have come to identify “openness” and “sharing” between artists and supporters as one of the most impactful, mercurial “ripple effects” of the Shebang Process as adapted in Burlington, Guelph, Kingston and St Catharines. Artists, audiences, presenters, producers and community members so rarely have the opportunity to come together in the inspiring, essential environment of the studio. By observing this latest phase of The Burlington Shebang Process, it is clear to me how so much can happen when artists and their supporters are granted time to communicate their stories together, and to balance between “knowing and not knowing” in an unscripted exploration of life, art and the creative process without restriction, expectation, or judgment. … a little bit more about this in the context of the Shebang Process from my point of view and then a bit about the rest of the day – the free warm-up, six questions (post answers to some of the first four questions, which are quoted above, but without the artists names unless you want me to), and the video installation. pictures of the video installation and i have video of the Costin story but i think perhaps just a still would be good?